seawapa.co: The "US CORPORATIONS" are Now Militarily Confronting China (and Russia). The "US CORPORATIONS" are Now Militarily Confronting China (and Russia). In hindsight, we see that the US CORPORATIONS had, (read American Governance) indeed applied a double game vis-a-vis China (read Balance of power), using a combination of geopolitical-socioeconomic incentives and lures to win over Chinese corporate-financier interests -to provide them with an attractive stake in the Anglo-American "international order" while simultaneously creating a geopolitical landscape across both Asia and the world to prevent China from cultivating its own interests independent of Wall Street and London. The hope is to undermine nationalist elements in China, while promoting and cultivating suitable proxies eager to merge China into a Wall Street-London dominated global order. US CORPORATIONS reveals ASEAN as neo-imperial consolidation as Clinton calls on bloc to present a "united front" against China. September 4, 2012 - In the literary classic "Gulliver's Travels," the protagonist, Lemuel Gulliver, finds himself shipwrecked on an island of tiny people called, "Lilliputians." While he slept, the Lilliputians used their tiny rope and stakes to tie Gulliver down. When he awoke, though many times larger than any one of the Lilliputians, he was immobilized and at their mercy. This analogy is important because it represents the precise example used by Wall Street-London corporate-financier interests in producing policy for the containment of China. In 1997, a very different world from today, where the idea of a multipolar world order uprooting Anglo-American hegemony was still a fanciful notion, Western policy makers literally used this analogy to describe their strategy of encircling and containing China. This has manifested itself in direct political attacks based on "human rights" within China itself (and here), and in the sweeping devastation of the Arab World via the US-engineered "Arab Spring." What it has effectively done is overturn and threatened both Chinese and Russian interests across Africa, the Middle East and into Central Asia. 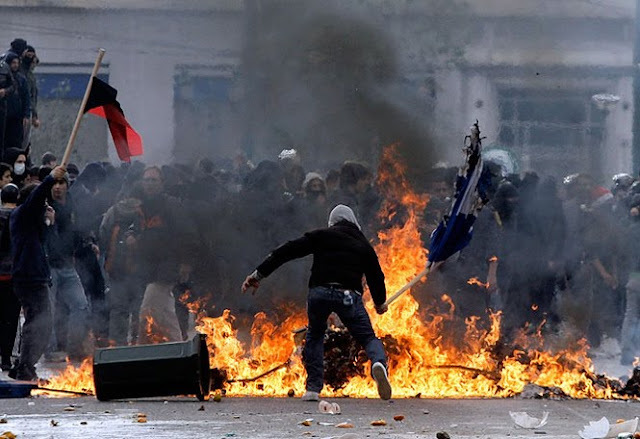 During the early stages of the Arab Spring, where Russian and Chinese investments were literally being destroyed by US-proxy forces, hubris in Washington revealed that Western policy makers intended to drive the political instability all the way to Moscow and Beijing's doorsteps. Image: From the Strategic Studies Institute's 2006 "String of Pearls" report detailing a strategy of containment for China, the evolution of Kagan's 1997 paper. US Senator John McCain, chairman of the International Republican Institute which played a pivotal role in organizing the so-called "spontaneous" "Arab Spring," said in 2011 of the unrest his IRI had helped fund in Egypt, "I would be a little less cocky in the Kremlin with my KGB cronies today if I were Vladimir Putin. I would be a little less secure in the seaside resort [of] President Hu and a few men who govern and decide the fate of 1.3 billion people." The West is already creating a united front against both Russia and China in the Middle East. The violence in Syria is aimed directly at Iran. A successful war against Iran would leave US proxies on Russia's doorstep, and with US occupied Afghanistan beside it, form a front threatening both Pakistan and Western China where the US is already hard at work inciting Tibetan and Uyghur terrorists. ASEAN is Poorly Dressed Recolonization. But China is a vast nation, and this Afro-Eurasian front stretching from Africa to the Himalayas still isn't big enough. 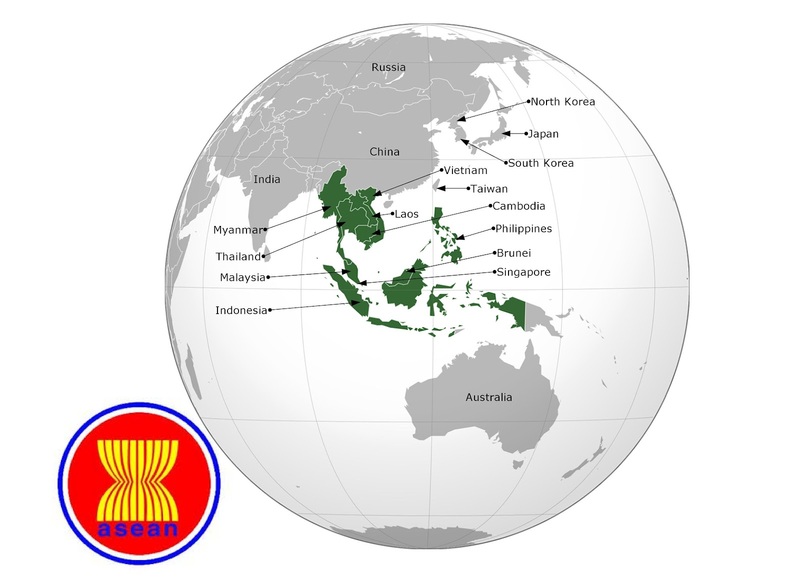 In Southeast Asia, the West is attempting to create a European Union-style supranational bloc - the Association of Southeast Asian Nations (ASEAN). Its proponents and leadership are notorious servants and affiliates of institutions synonymous with Western hegemony. Image: The supranational ASEAN bloc consists of Myanmar, Thailand, Laos, Vietnam, Cambodia, Malaysia, Brunei, Indonesia and the Philippines with a combined population of 600 million (as of 2010). The logo of bound rice padi stalks allegedly represents all of Southeast Asia "bound together in friendship and solidarity." In reality, it represents Southeast Asia bound together for a Wall Street-London corporate-financier "harvest." With English made the official "working language" of ASEAN, harking back to the age of British imperialism, and the US already tasking ASEAN to form a "united front" against China, it is clear whose interests it serves. The last ASEAN secretary general for example, Surin Pitsuwan of Thailand, leads current efforts to implement the Asian Economic Community (AEC) 2015 blueprint. Pitsuwan sits as a Member of the Board of Trustees of the globalist Asian Foundation, funded by warmongers amongst many others, Boeing, Chevron, The Ford Foundation, the Bill and Melinda Gates Foundation, Halliburton, Raytheon Company, Wal-Mart Stores, Inc. He joined the Rockefeller Foundation's Board of Trustees in 2010. He also sat on the Council on Foreign Relations' (CFR) International Advisory Board as of 2009, and even gave a talk before the CFR on May 14, 2008, regarding a "one unified Southeast Asia." The official language of ASEAN is English - bizarre since only one ASEAN member counts English as its official language - the minute city-state of Singapore which also counts Mandarin, Malay, and Tamil as official languages. Modern day Singapore is increasingly shifting demographically and linguistically toward Chinese, with English use a vestigial feature of British colonialism. The irony of consolidating Southeast Asia under a supranational English-speaking bloc extends to other former British holdings including Malaysia and Myanmar, both of whom fought hard to achieve relatively recent independence. 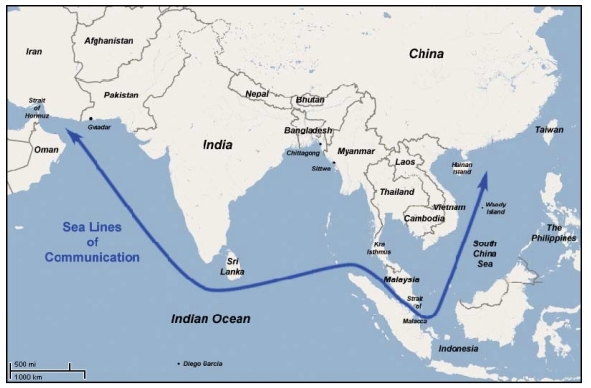 The Asian Economic Community (AEC) being pushed for implementation by 2015 mirrors other supranational, Wall Street-London dominated free trade blocs and monetary unions, including the European Union, the North American Free Trade Agreement (NAFA), and the upcoming US-led Trans-Pacific Partnership (TPP) with which the AEC will mesh. Military cooperation is defined under the ASEAN Security Community "plan of action." It is designed to incrementally integrate the foreign policy of ASEAN members. Since ASEAN is dominated by leadership entwined with Western hegemonic interests, ASEAN's collective foreign policy will be thus aligned with that of the West, enforcing its corporate-financier as well as geopolitical agenda. Already, the US is employing a strategy of tension to mobilize ASEAN to do its bidding. Hillary Clinton Test Drives ASEAN as Vehicle of US Foreign Policy. Geopolitical shake ups, although less chaotic than the US-engineered "Arab Spring" have also recently unfolded in Southeast Asia. While US State Department trained and funded mobs cluttered the streets of Egypt and Tunisia, and terrorists rampaged through Libya and Syria, US State Department-funded opposition groups staged protests in Malaysia, Bangkok, and Myanmar. US proxies, including Thailand's Thaksin Shinawatra and Myanmar's Aung San Suu Kyi have made political resurgences while the US' Anwar Ibrahim of Malaysia is positioning himself for upcoming elections with the US-funded Bersih street movement. "As the war in Iraq winds down and America begins to withdraw its forces from Afghanistan, the United States stands at a pivot point. Over the last 10 years, we have allocated immense resources to those two theaters. In the next 10 years, we need to be smart and systematic about where we invest time and energy, so that we put ourselves in the best position to sustain our leadership, secure our interests, and advance our values. One of the most important tasks of American statecraft over the next decade will therefore be to lock in a substantially increased investment -- diplomatic, economic, strategic, and otherwise -- in the Asia-Pacific region." "Harnessing Asia's growth and dynamism is central to American economic and strategic interests and a key priority for President Obama. Open markets in Asia provide the United States with unprecedented opportunities for investment, trade, and access to cutting-edge technology. Our economic recovery at home will depend on exports and the ability of American firms to tap into the vast and growing consumer base of Asia. Strategically, maintaining peace and security across the Asia-Pacific is increasingly crucial to global progress, whether through defending freedom of navigation in the South China Sea, countering the proliferation efforts of North Korea, or ensuring transparency in the military activities of the region's key players." Clearly, by "open markets" and American firms' ability to "tap into the vast and growing consumer base of Asia," we see an overt declaration of intent for Wall Street and London's corporate-financier interests to overrun and dominate Asian markets with the same monopolies they have pillaged and exploited their own populations with - to devastating socioeconomic consequences. Mention of a"global order" harks back to Kagan's 1997 piece and is a theme that pervades all Western corporate-financier driven policy papers (and consequently actual policy). In fact, Clinton's entire tirade is merely Kagan's policy paper, updated and repackaged for public consumption, touching on each and every facade Kagan had suggested the US use to lure the Chinese into Western ambitions to encircle and contain its growth while maintaining US global preeminence. To pave the way, the United States has opened a new U.S. Mission to ASEAN in Jakarta and signed the Treaty of Amity and Cooperation with ASEAN. Our focus on developing a more results-oriented agenda has been instrumental in efforts to address disputes in the South China Sea. In 2010, at the ASEAN Regional Forum in Hanoi, the United States helped shape a regionwide effort to protect unfettered access to and passage through the South China Sea, and to uphold the key international rules for defining territorial claims in the South China Sea's waters. The US is openly encouraging confrontation with China over disputes in the South China Sea. These disputes will be expanded to economic and eventually geopolitical issues. As US proxy-regimes claw their way into power across Southeast Asia, this confrontation will become more pronounced. Clearly, this is just the first step in creating a much wider and more permanent "united front," just as the US is doing in the Middle East regarding Iran, and eventually Russia and China directly. Throwing A Wrench Into the Cogs of Imperialism. The morbid machinations of Wall Street and London are driven by and for their collective corporate-financier interests. 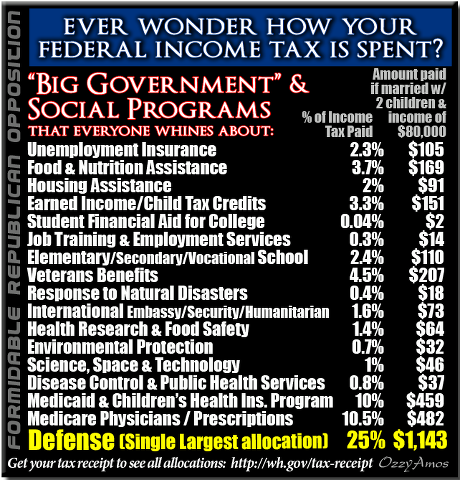 These are corporations, institutions, and services we use (globally) on a daily basis. For Americans and Asians alike, recognizing that our daily patronage of seemingly benign corporations like Unilever, Pepsi, and Coca-Cola is in fact the engine driving global conflict and wars of hegemony, is the best first step. Effectively boycotting and replacing them with local alternatives is the next step. By boycotting and replacing these corporate-financier interests with local alternatives, specifically with a model of local and national self-sufficiency, we not only hem in the global-spanning machinations of megalomaniacs, we also shift the balance of power back into our own hands. Because freedom cannot exist when individuals, communities, even entire provinces and nations are dependent on multinational corporations and institutions. Economics, policy, and progress both technological and social must be organized and driven from the grassroots up, not the other way around. Organizations like ASEAN are created to enhance and further empower the collective corporate-financier interests that are represented throughout its leadership and by the sponsors of its various arms and initiatives. These benefit special interests at the cost of the vast majority of the population - as clearly demonstrated by the European Union as it finally reveals its true purpose - consolidating the wealth of nations for economic exploitation and plundering. Image: Greek riots unfold as the European Union's economy collapses and austerity measures are imposed on vast swaths of the population to bail out corporate-financier interests - the very ones behind the reckless "globalization," economic and monetary interdependencies that made the plundering and destruction of Europe's economies possible in the first place. It is painfully obvious that the ASEAN union will unfold in a similar manner with the exact same Western corporate-financier interests behind its creation, and already plotting to plunder the collective economies of Southeast Asia while proxy-regimes bleed national treasuries dry in pursuit of Western foreign policy objectives. Through reckless systems of interdependence, Europeans had been led into regional economic collapse. Had each nation been building up a sustainable, self-reliant, full-set economy with trade as a supplement rather than an imperative, the economic woes of one nation would be effectively isolated from the next. Southeast Asians should be asking themselves who will be the first "Greece" or "Iceland" amongst ASEAN should the same economic, monetary, and political interdependencies be foisted upon them - victims of financial speculators brought in under the auspices of "free trade" seeking new marks for their global Ponzi scheme, uninhibited by national borders and protectionist measures. As individuals we can pursue models of local and national full-set, self-reliant economics that trade only to supplement our prosperity. We can do this by voting with our wallets for local businesses, becoming entrepreneurs ourselves, and supporting local and national leaders who promote localism and the primacy of the nation-state. To proceed with the development of ASEAN and the 2015 Asian Economic Community in the face of an unraveling West - Asia prevailing solely because it has not yet implemented the vast economic and political unions and interdependencies the West has - will be looked back at by future generations as supreme folly. Containment of China Has Been US Policy for Decades. Corporate-financier subsidized policy scribe, Robert Kagan, is a notorious warmonger and so-called "Neo-Conservative," a signatory to many of the West's most recent crimes against humanity, including the deceitful invasion and occupation of Iraq based on lies regarding "weapons of mass destruction," the deceitful invasion and overthrowing of the Libyan government based on lies regarding the "responsibility to protect" (R2P), and the most insidious plot to-date, the premeditated organizing and arming of sectarian extremists aligned with Al Qaeda to violently overthrow Syria, paving the way for war with Iran. Clearly, however, this "perception" of US military decline has only been heightened as the Wall Street-London financier model of "economic growth" has been revealed as an untenable global Ponzi scheme versus the Chinese model of industrial production and infrastructure expansion. The military might required to contain China is also politically and economically unjustifiable, and increasingly so. It appears possible at least, that US policy makers committed to a losing strategy based on inaccurate interpretations and projections regarding the collapse of the Soviet Union and its comparison to the Chinese. US policy makers have led the populations of Western civilization down a dead-end in pursuit of global hegemony instead of one of economic and technological progress.